Hire An Experienced Motorcycle Accident Attorney Westminster, CA. Let us be frank, motorcycle accidents can temporarily rip off your comfort and even good health. Another case scenario is the trauma that may linger for longer than wanted or the scars that may stick for life. Whatever the case, you deserve full settlement through such hard times. Hiring the services of an experienced motorcycle accident attorney is the fastest way to ensure that you get a maximum settlement after the mishap. If you (or your relation) are involved in this unfortunate incident in Westminster, CA, do not fret. The services of an experienced motorcycle accident attorney are just a call away. Rawa Law Group is a top-class legal firm that has some of the topmost and most experienced accident lawyers in Westminster and California. A single call to Rawa Law Group and we will dispatch a team of our skilled attorneys to wherever you are in Westminster. Appointments with our attorneys are flexible and can be sewn to suit your needs. With more than 50 years in the business of handling motorcycle accident legal cases, we assure our clients of positive results whenever we are contacted. Clients who have hired the services of our motorcycle accident attorneys can attest to having being paid their required settlement and that places you in a good position of getting the needed legal presence for the same positive results. We handle our clients’ cases with so much tenacity and we keep them informed about their case from the beginning to the end and that is why we are one of the most trustworthy legal firms in California. We also do not take payments from our clients until we have delivered positive results in their case. 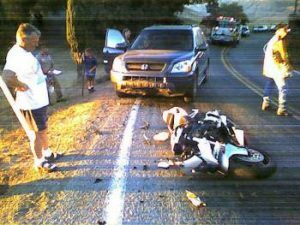 To hire an experienced motorcycle accident attorney in Westminster, CA, you can reach Rawa Law Group for a free case evaluation and consultation at the address below.